Terming Union Minister M. Venkaiah Naidu's " loan waiver has become a fashion now' statement" as 'unfortunate', the Congress Party on Friday said that the former should apologise to the farmers. Congress leader Tom Vadakkan questioned the 'fashionable' quotient when so many farmers were attempting suicides due to the burden of loans. "Venkaiah Naidu's utterances have become unfortunate. He is talking about farmers who are killed in cold-blood in Madhya Pradesh. What is fashionable about it? A waiver is saving the farmer, getting them back into the banking circle, into the economic situation. 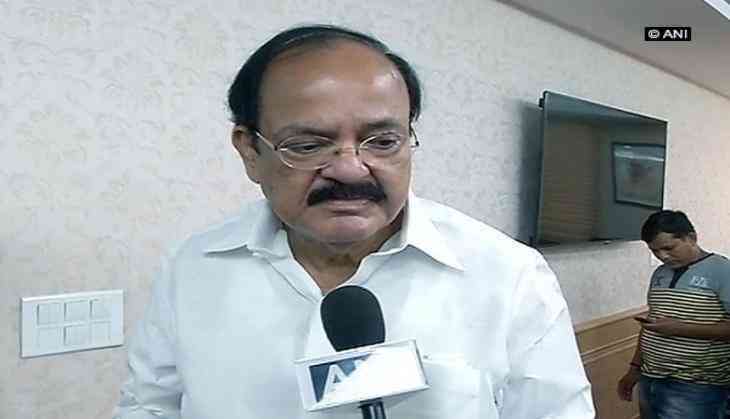 Venkaiah Naidu must apologise to the farmers on his statement," Vadakkan told ANI. Another Congress leader KTS Tulsi also maintained the same, saying it is not a matter of fashion when the poor people are taking their lives. "One should not make fun of people. These poor people are taking their lives. It is a not a matter of fashion. A person decides to end his life when he is absolutely frustrated. So, such a statement is not suited to be made by such a senior politician," Tulsi told ANI. However, Naidu, who has already drawn flak for the remark, defended his stance yesterday, while saying that he was referring to the approach of the political parties, who are not focussing on the long term, but only short term problems. "I am being misquoted. My statement was in a context that the political parties, instead of addressing long-term issues and bringing in structural policy changes, are adopting short-term methods which have become the fashion. I was referring to the approach of the political parties particularly of going to the level of populist schemes like giving grinders, mixies, and lollipops to children," Naidu told ANI.